Ryan Seacrest I Needed a Lift And I Came Up Short!!! 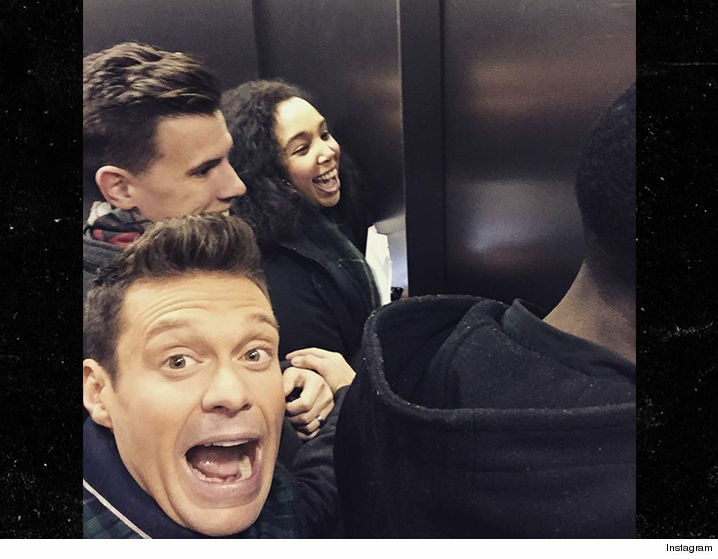 Ryan Seacrest had a gigantic ball right over his head Thursday when the elevator in which he was riding malfunctioned. Ryan, who's hosting the NYE show for ABC, was on his way to do GMA when Mr. Otis just stopped below the Waterford Crystal triangle loaded ball. It's pretty funny ... Ryan hosts inside the elevator and greets his rescuers like he's intro'ing Clay Aiken!